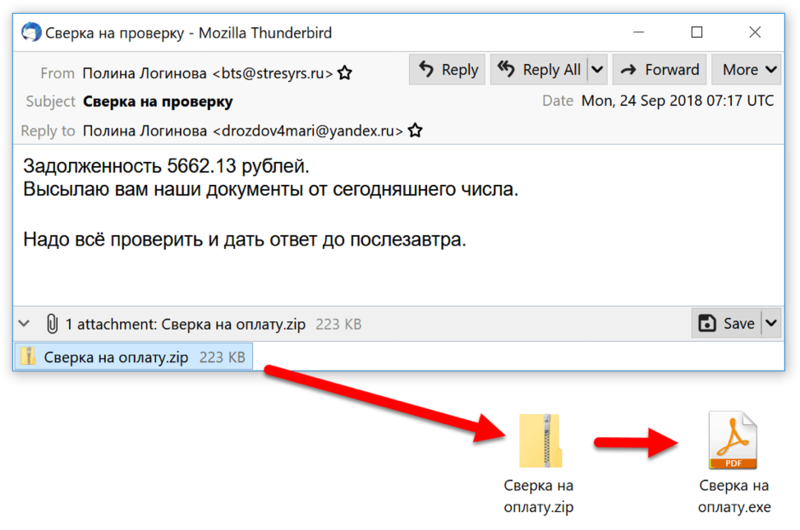 Since September of 2018, Redaman banking malware has been distributed through malspam. 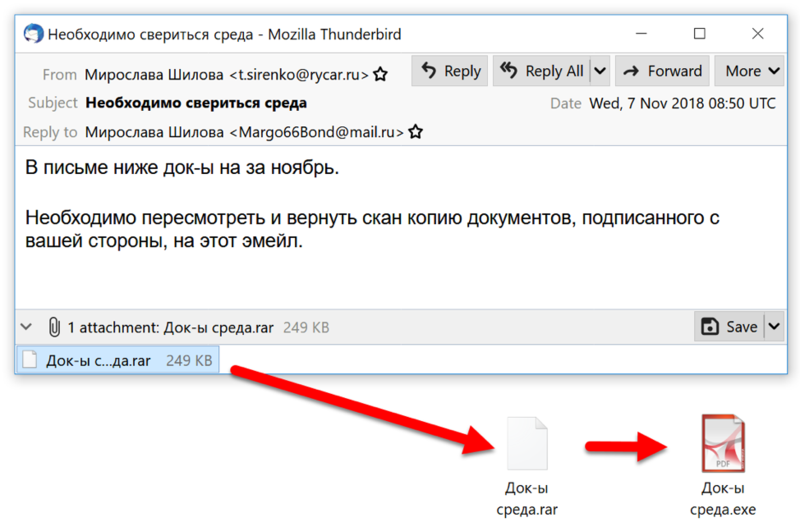 In this campaign, the Russian language malspam is addressed to Russian email recipients, often with email addresses ending in .ru. These emails have file attachments. These file attachments are archived Windows executable files disguised as a PDF document. In September 2018, the attachments were zip archives. In October 2018, the attachments were zip archives, 7-zip archives, and rar archives. In November 2018, the attachments were rar archives. 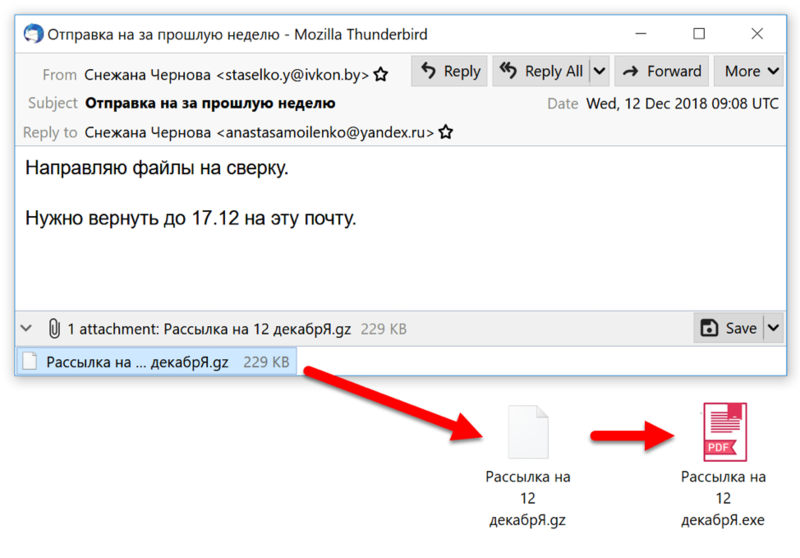 And in December 2018, the attachments changed to gzip archives with file names ending in .gz. Figure 1: Flow chart for infections from Redaman banking malware from September through December of 2018. Subject lines, message text, and attachment names constantly change for this malspam. But the messages all have a common theme: they refer to a document or file for an alleged financial issue the recipient needs to resolve. These messages are often vague, and they contain few details on the alleged financial issue. Their only goal is to trick the recipient into opening the attached archive and double-clicking the executable contained within. Figure 2: Example of Redaman malspam from September 2018. Figure 3: Example of Redaman malspam from October 2018. Figure 4: Example of Redaman malspam from November 2018. Figure 5: Example of Redaman malspam from December 2018. Figure 6: AutoFocus map visualization for distribution of email recipients, September through December of 2018. 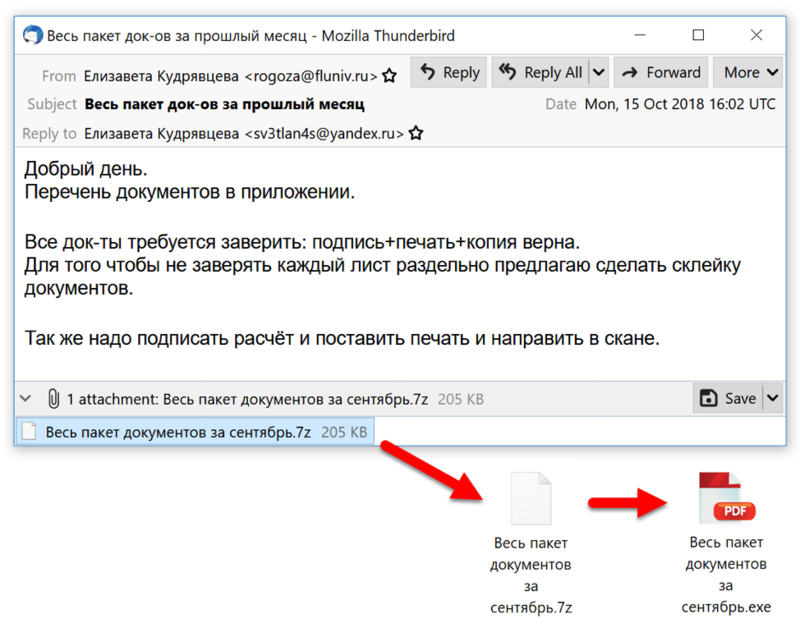 We analyzed a sample of Redaman malware from malspam on November 13th, 2018. If any of the above files or directories exist, the Windows executable throws an exception and exits. This indicates Redaman checks if it is running in a sandbox or similar type of analysis environment. After creating a scheduled task and causing the DLL to load, the initial Redaman executable file deletes itself. Figure 7: Example of a Redaman DLL persistent through a scheduled task. 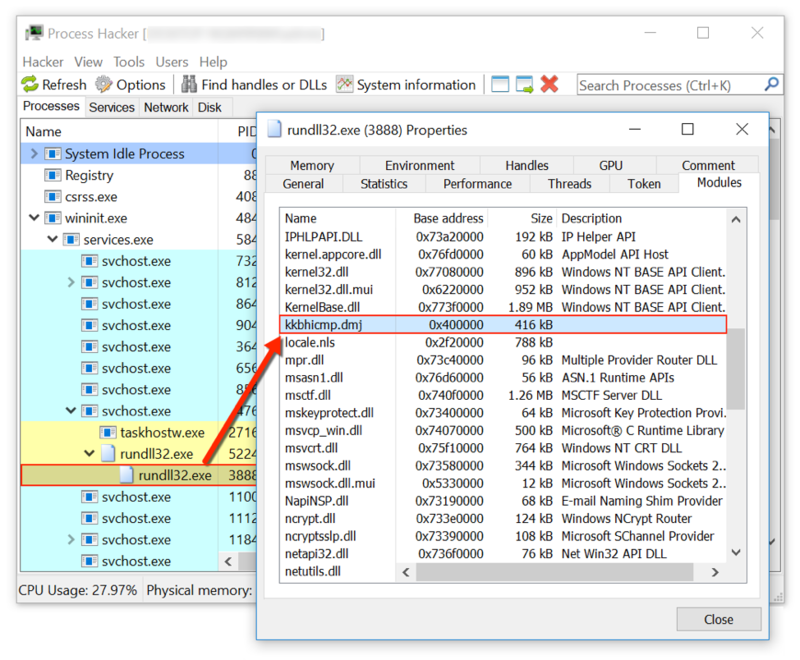 Figure 8: Process Hacker showing the Redaman DLL active using rundll32.exe. Figure 9: Redaman infection traffic filtered in Wireshark. Network activity started with an HTTPS URL to namecha[. ]in, which is an alternative namecoin block explorer. Namecoin is a cryptocurrency system that can be used for decentralized DNS. That proves to be the case here, since the URL returned an IP address used for subsequent post-infection traffic as shown in Figure 10. Figure 10: Data returned from namecha[. ]in used for subsequent infection traffic. During the infection, callback traffic was periodically sent to a command and control (C2) sever at 185.141.61[.]246. 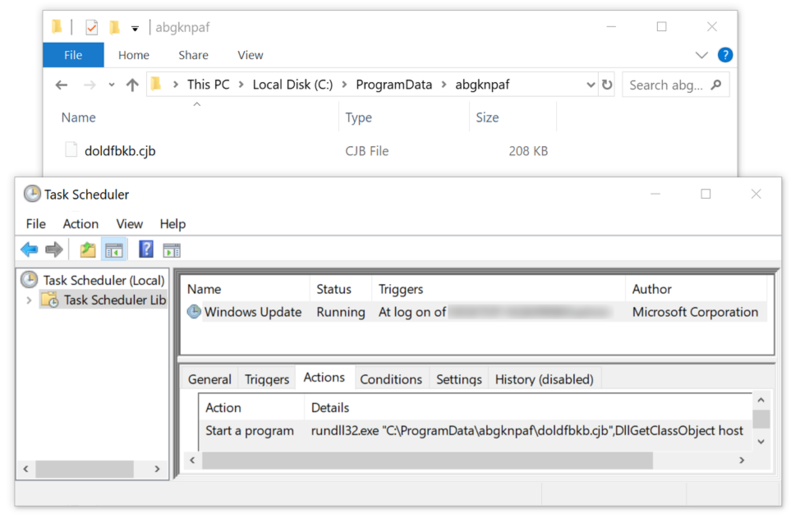 Shortly after the infection, return traffic from the C2 server sent a Pony variant DLL to the infected Windows client. 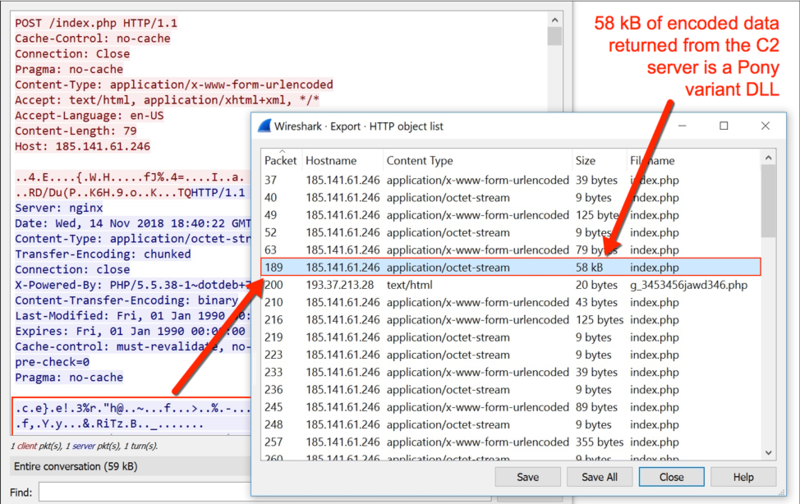 Figure 11: Using Wireshark to find 58 kB of encoded data returned from the C2 server at 185.141.61[.]246. Data for the Pony variant DLL was XOR encoded with multiple XOR keys and RTLcompressed. The SHA256 of this Pony variant DLL is b4701d95219d465e978c4a815fcce89787916da33ae2a49d0e76d4445fd39ada, and it generated traffic to 193.37.213[. ]28/p/g_3453456jawd346.php during the infection. We expect to discover new Redaman samples as 2019 progresses. Palo Alto Networks customers are protected from this threat. Traps identifies these files through Local Analysis and Wildfire has classified them as malicious. 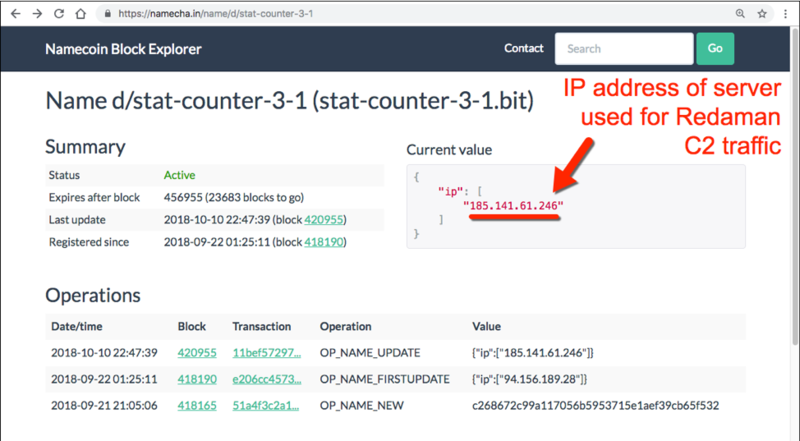 Our threat prevention platform detects this malware, and see the below appendices below for details on Redaman malware we discovered from September through December of 2018.